Spices not only add flavor to food, but also contain many beneficial nutrients. For centuries herbs and spices have played an important part in the development of civilization. 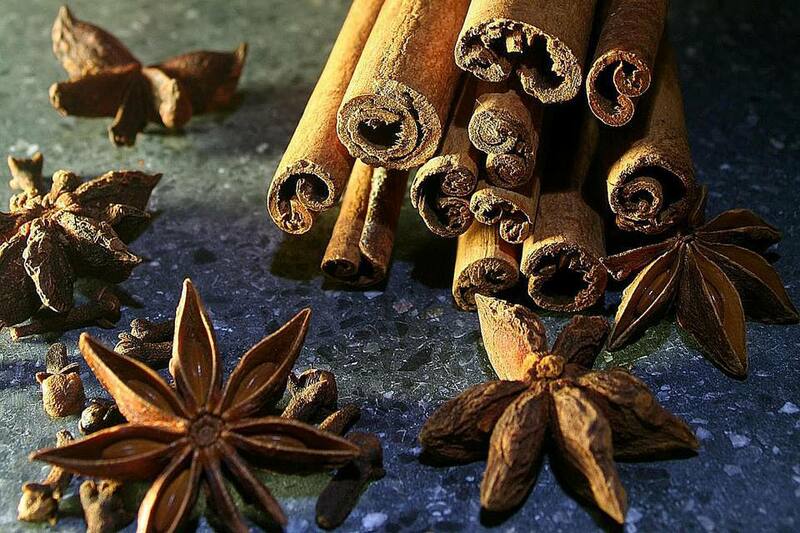 In the days before refrigeration, spices such as cloves and allspice were used to preserve meat, while ginger and garlic were hailed for their infinite medicinal properties to treat anything from digestive disorders to arthritis. Once an expensive commodity, and one that men would risk their lives for, spices are now found in kitchens around the world and herbs grow in abundance in garden flower beds or windowsill pots. While today herbs and spices are still used as natural remedies, a review of scientific literature, published in The Medical Journal of Australia, has found that “culinary herbs and spices contain high concentrations of antioxidants and phytonutrients [plant-derived chemical compounds important to human health] and may provide long-term health benefits that even outweigh their short term taste sensations”. By learning how to use herbs and spices to enhance the flavor of our food, we can continue to cut down on the use fat, sugar and salt in our every day diets. Leading Australian dietician Karen Inge who also worked on the herb and spice research, said “The message is becoming increasingly clear, include herbs and spices in your daily diet. They can be conveniently added to day to day cooking, are inexpensive, are readily available and always in season, and by their essence, highly palatable and easily consumed”. Herbs can generally be described as the leaves of plants while spices are made from flowers, berries, bark, seeds, roots and even gum. To get the most benefit out of herbs and spices, it's important to store them properly. Herbs can be wrapped in a paper towel and then stored in a plastic bag in the fridge. Some woody herbs such as thyme and rosemary can be wrapped in foil and frozen for several months. Try freezing cilantro, mint or basil leaves in ice-cube trays and adding them to a bubbling soup or casserole. Place a bunch of parsley in a glass of water (like a bunch of flowers) and store it in the fridge. Dried herbs and spices should be stored in an airtight container or zip-lock bags in a cool, dark cupboard and can last for up to six months. To protect and enhance their delicate flavor and color, leafy herbs such as cilantro and parsley should be added at the end of cooking. Most dried herbs and spices can be added at the beginning of cooking to allow the strong flavours to infuse the dish. Some spices, however, like garam masala, are added at the end of cooking.